It's been a while since my last manga review )and I am shamefully behind in my regular reading), so I thought it was about time for another. The Good Witch of the West is a fantasy drama manga about a young woman living a modest life in the countryside. However, her world is turned completely upside down after she attends a ball at a palace and discovers that she is an heir to extraordinary power. I really enjoyed The Good Witch of the West. It got off to a bit of a slow start, but that's usually how it is when I read manga; takes me a few pages to get into the right 'flow' (reading right-to-left instead of left-to-right can take some getting used to!) But it didn't take long for this one to capture my interest. It's probably the most well-constructed story of any of the manga I've read so far. Of course, it's still pretty over-the-top (as you would rightly expect), but the writer has done the majority very tastefully, even including a good few artsy metaphors which help to enhance the elegance of the story. 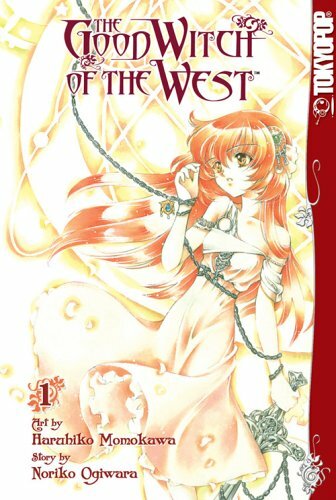 Altogether, The Good Witch of the West is a fantastic manga. If you love some great artwork, an absorbing storyline with a difference, or just enjoy the fantasy genre, then give this a try.